Now if we take a look on the web interface, we can found a fun XSS. As this printer is Wifi capable, we can configure Wifi using this interface. 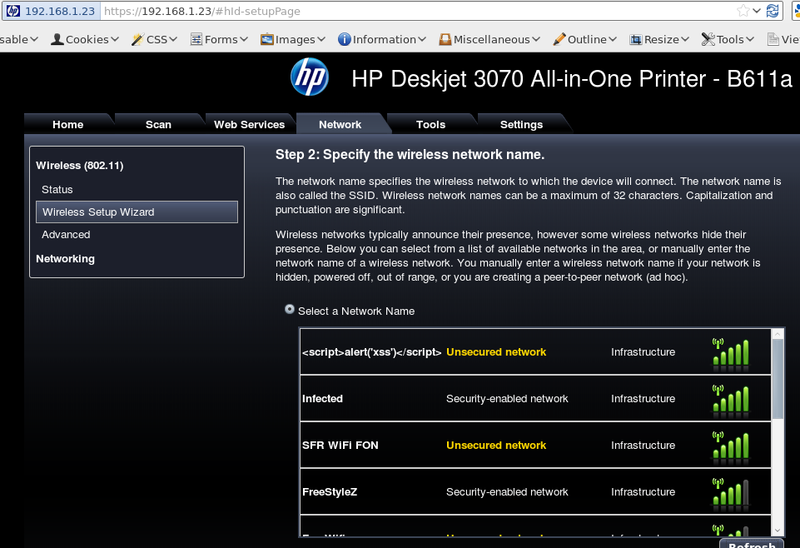 But what about a cool SSID like "<script> alert('owned?') </script>" ? 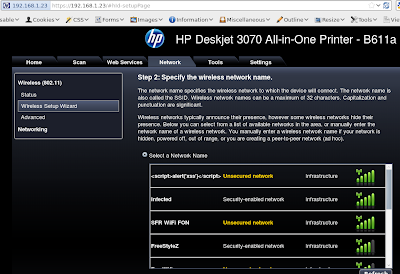 As soon as this Wifi AP is setup, you can configure you printer to use it : Network > Wireless Setup Wizard (https://<IP>/#hId-setupPage).